Following a couple of meetings with Barbara Radice I was invited to submit ideas for lights for the Memphis Milano exhibition 1987. The design for Nastro was conceived in my flat in London. 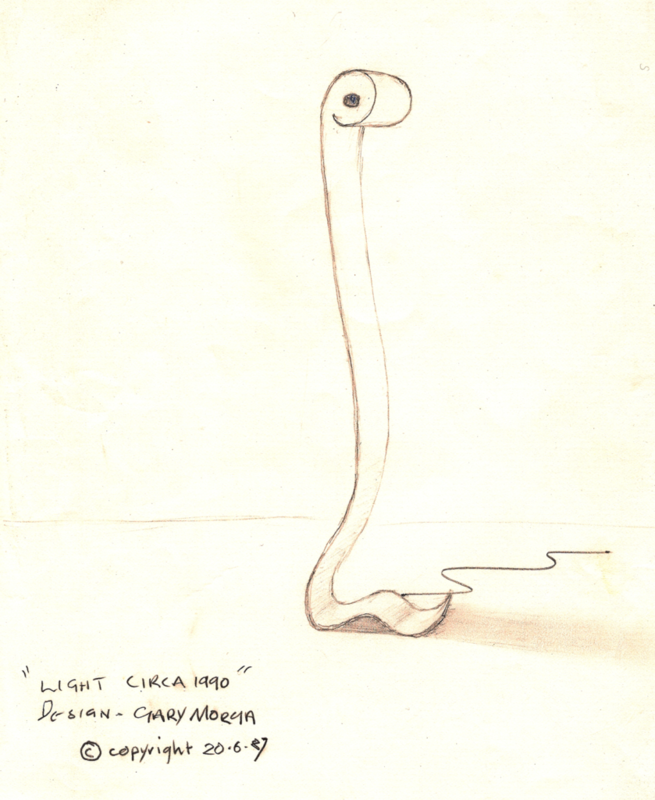 Originally, I called the design, “Lights Circa 1987”. It was a statement about lighting design at the time. 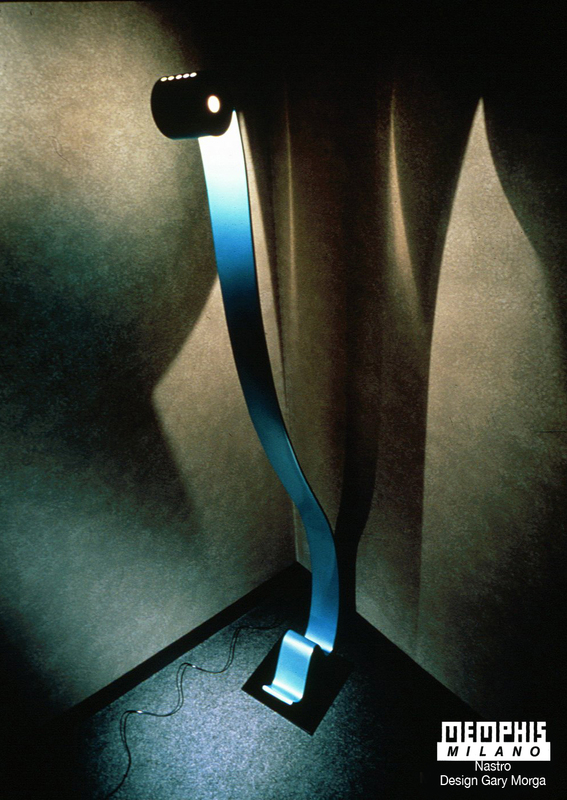 Later, the name of the floor lamp was changed to “Nastro” by Barbara for the collection. 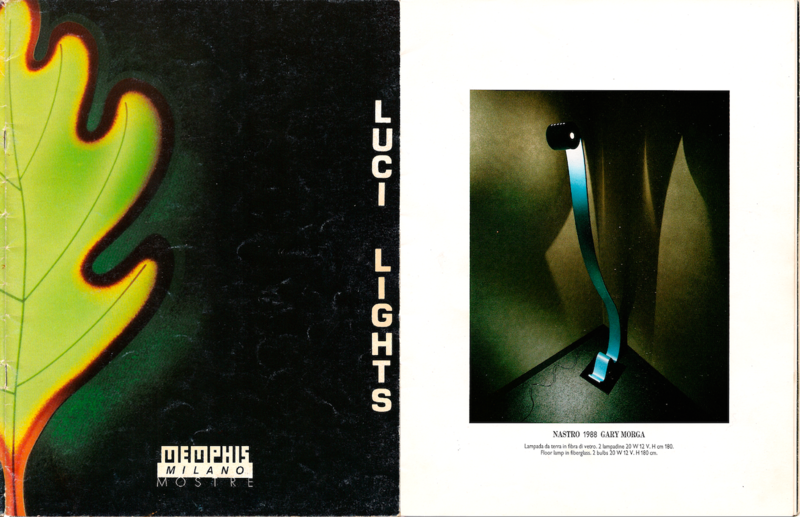 The light was presented at the last exhibition of, Memphis Milano Lights 1988. The exhibition was curated by Barbara Radice, photographed by Santi Caleca. The exhibition was sponsored by Artemide S.p.A. The body of the light fitting is made in formed GRP. The lamp, located at the top, is a low voltage (12v) halogen lamp. Power is conducted to it through bare copper wire embedded within the GRP material that is the body of the fitting. The transformer is located in the base and offers some stability to the piece. Memphis Milano Catalogue, New Lights 1986 Marco Zanuso, Ettore Sottsass, James Evanson, Nathalie du Pasquier, Laura Angoletto, Marzio Rusconi Clerici, Marco Zanini, Michael de Lucchi, Gary Morga, Giovanni Levanti, Marco Susani, CHristophe Pillet, Mary Little, Peter Shire, George Sowden, Laurence Laske, Winifred Scheuer, Guido Borelli, Martine Bedin, Massimo Losa Ghini, Gerard Taylor, Daniel Weil, Andrea Branzi, Johanna Grawunder, Beppe Caturegli. 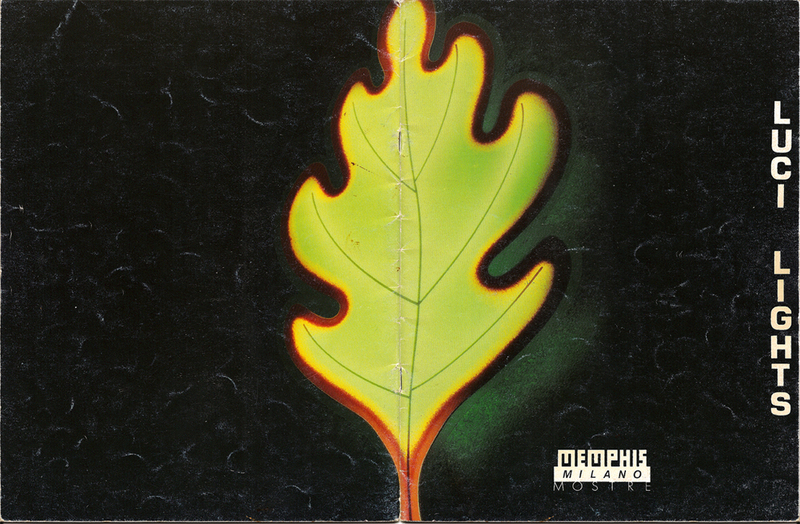 Memphis Milano Group. In the catalogue: Marco Zanuso, Ettore Sottsass, James Evanson, Nathalie du Pasquier, Laura Angoletto, Marzio Rusconi Clerici, Marco Zanini, Michael de Lucchi, Gary Morga, Giovanni Levanti, Marco Susani, Christophe Pillet, Mary Little, Peter Shire, George Sowden, Laurence Laske, Winifred Scheuer, Guido Borelli, Martine Bedin, Massimo Losa Ghini, Gerard Taylor, Daniel Weil, Andrea Branzi, Johanna Grawunder, Beppe Caturegli.